Radishes are here in Rhode Island! 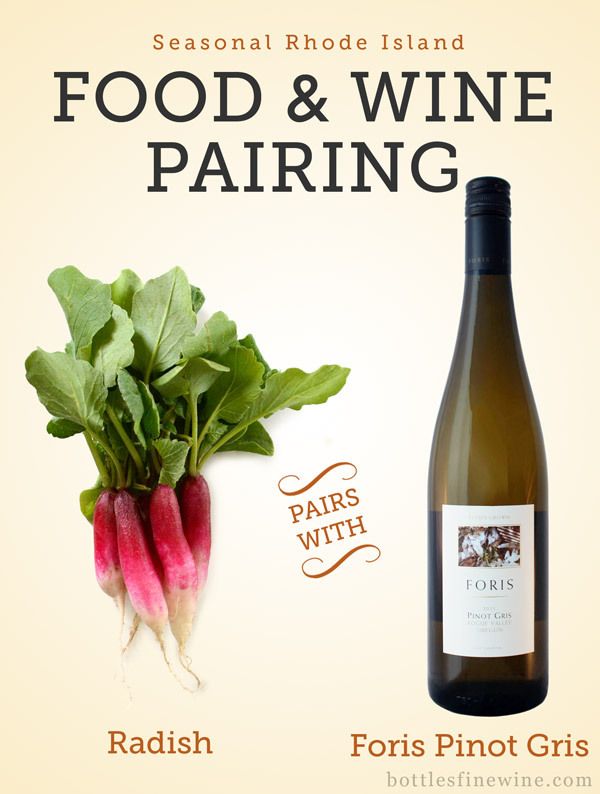 As part of our series of blog posts featuring in-season foods paired with wine, this week we’re having Foris Pinot Gris with farm-fresh radishes. 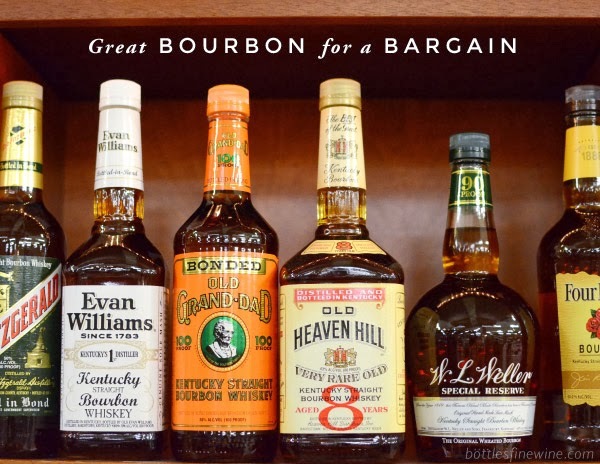 For more pairing ideas, visit our seasonal recipe page. The other week, Darius Salko invited Nick, the Bottles Wine Director, to Allens Farms and The March Hare in nearby Westport, MA. Darius showed us around and gave us super-fresh greens to enjoy. Take a look at photos from our visit, here! Allens Farms grows certified organic herbs, greens, vegetables and flowers in nearby Westport. Sign up for the Allens Farm 2013 CSA or look for their products at farmers markets! Radishes are a spicy root vegetable that grows best either in spring or early fall. Whether you prefer French Breakfast radishes or the familiar Cherry Belle radish (or both! ), radishes are easy-to-grow and can be enjoyed fresh or cooked. Make an easy appetizer with a baguette, soft cheese, and chives, serve them with artisanal butter and sea salt, or even braise them with shallots. A great way to enjoy the local harvest! Pinot Gris is medium bodied white wine with notes of pears, apples, and stone fruit. Pinot Grigio and Pinot Gris happen to be the same grape, but the former is grown in the northeastern region of Italy, and is generally paler and lighter in style. Foris Pinot Gris is delicious example of Pinot Gris from Oregon, with aromas of melon, pear, citrus blosson, and a hint of vanilla. A great summertime wine! Foris is a family owned and operated vineyard in southern Oregon’s remote Rogue Valley. Pinot Gris grows well in cooler climates such as Oregon, Washington, Alsace, and Northern Italy. This entry was posted in Wine Pairings and tagged goes with, idea, pairing, pinot gris, radish, white wine, wine on May 29, 2013 by bottlesfinewine.